My coaching clients have asked me again and again which food diary I would recommend for trying to figure out on which food or other substances they react to. 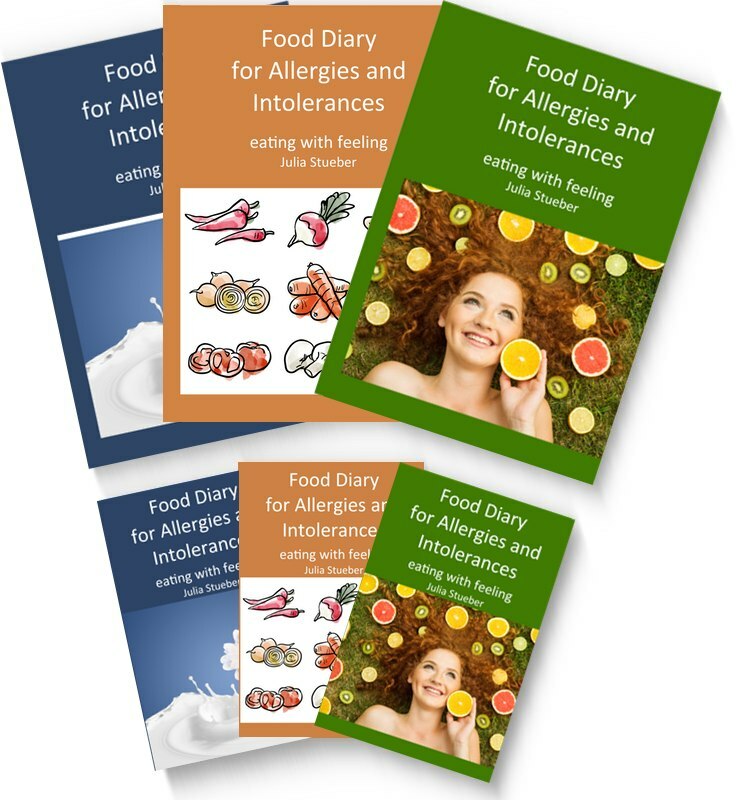 That’s why I created these books as I wanted them to be tailored to the special needs of people with allergies and food intolerances. I created two sizes: the bigger food diary is 6″ x 9“, the smaller one 4″ x 6“. 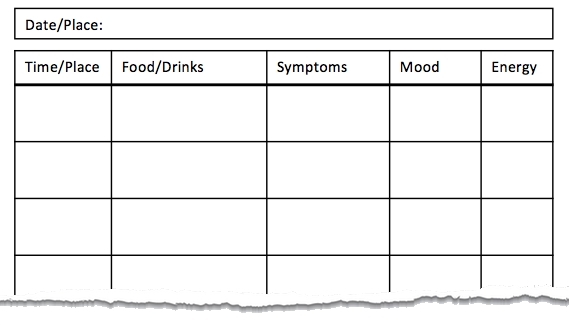 4 result pages: Here you record all the food, drinks or other allergens you reacted to. Time and space, where and when you eaten something. The food and drinks you have consumed. Empty fields for medicine or anything else you might have taken, what happened during the day and other notes. 30 pages for notes: This is the place to include recipes, ingredient list , etc. In the small diaries you will find 30 diary pages limited to the most important aspects: Time/place, food/drink, symptoms plus a field for notes. The food diaries are available with three different covers and colors, so I hope you will find the one you like! This food journal will help you identifying the food and other substances you react to!